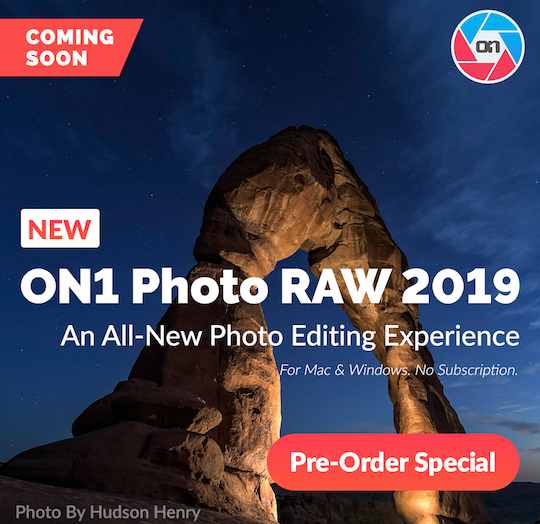 ON1 Photo RAW 2019 will be available this November. Version 2019 is one of the biggest and best releases in our history. ON1 Photo RAW 2019 will include tons of improvements to the photo editing workflow and new features. ON1 Photo RAW 2019 will include several free updates over the next year to add new photo organizing and editing features, AI-powered algorithms to enhance workflows, other feature refinements, as well as updates for cameras and lenses. The first free update will arrive right after the initial November release (in December) and will include the new AI-powered tool for creating masks. We are very excited about this upcoming release of ON1 Photo RAW. Over the next several weeks, we will provide customers a first look at the new features and technologies through weekly videos leading up to the November release.